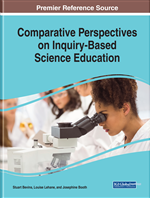 This chapter considers the impact of professional development on IBSE in the Chain Reaction (CR) project, Ireland. The author offers reflections, based on his own experiences of CR, suffused with the theme of “evolution.” Evolution experienced includes that in thinking, practice, curriculum, and teacher engagement during the project and follow-on professional development endeavors. He speaks as a practicing teacher who, during the lifetime of his engagement with CR, took up a national leadership role in supporting Science Education change in Ireland. He offers that professional development that seeks to enhance social capital creates opportunities for teachers to develop their capacity as science curriculum developers. This has been a guiding precept for CR Ireland and broader professional development endeavors across Ireland in recent years. Evolutions in science education across Ireland have allowed for the integration of IBSE opportunities afforded by the introduction of national policy and the promotion of social capital at CPD to compliment policy intentions. At the time of writing this chapter, I have been working in Irish Science education for 17 years. I have taught Junior Cycle Science (lower secondary, typically 13-15 years old) and Biology, Physics and Agricultural Science to Senior Cycle Science students (upper secondary, typically 16-18 years old). I worked within a school culture that supported innovation and change, which was reflected in our Science students varied and successful endeavours in Science fairs at a local, national and international level. My motivations to engage with CR Ireland were in part response to my perceptions of curriculum at the time. In my early years as a novice teacher my classroom work was, in many ways, defined by coverage of content. I demonstrated excellence in the delivery of subject matter. I developed student competency in practical science through recipe-style scientific investigations. The expectation from parents and students was high grades in the Junior and Leaving Certificate exams, and I measured myself by these expectations. My engagement with my subject was characteristic of the technical-rational interest that has been so pervasive in Irish curriculum discourse (Gleeson, 2010, p.122), and market-driven expectations of performativity (Ball, 2003). I was conflicted by the quality of learning experiences I was providing for my students. I was a master of ‘drilling content’, but this did not help to develop students as learners and to instil the love of education I had experienced as a child. Through mentoring students for science fairs, I saw their passion for learning develop as they explored their interests as real scientists. This was disconnected from the reality of ‘doing science’ in the classroom. I felt the ‘goodness’ of my subject was being outsourced to extracurricular activities such as Science fairs, disconnected from the Science classroom. Rather than become dispirited, I turned my energies to experimenting with my practice (Huberman, 1989; 1993). I began to introduce varying IBSE experiences into classroom investigative work, and invited students to begin developing their own approaches rather than following a set procedure to pre-defined knowledge. I created conditions for students to review and support each other’s work, activating them as learning resources for one another in the classroom and the digital space through virtual learning environments. I found through creating the space for authentic IBSE experiences in the classroom, students began to flourish as Science learners. This was evidenced by their successful engagement with Science fairs and improved learner outcomes in the classroom. This was not a straightforward experience and took time and the resilience to get up and learn after multiple failures. In my desire to progress my own practice in IBSE and to support fellow teaching colleagues, I began to look beyond the walls of my own classroom and school. I worked part-time in teacher CPD with Science teachers and facilitated professional development in workshops around IBSE at a Junior and Senior Cycle level. At this point, I was invited onto the Technical Board (TB) for CR Ireland.